Most of Mike Mayock’s NFL draft prospect evaluations reside in the public domain. The Raiders general manager got paid to voice his opinions on the NFL Network, leaving video clips and epically conference call transcripts as evidence on how he views talent. He was also charged with matching talent with team needs, providing insight from relationships within NFL organizations. There was nobody better than Mayock in doing exactly that. 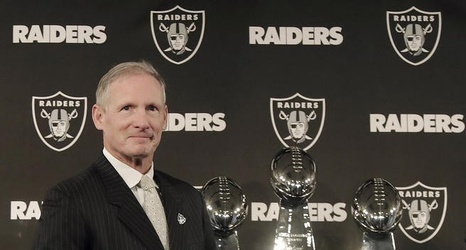 “My job was to be in all 32 buildings,” Mayock said a few weeks back, during a sitdown with Raiders beat writers at the Senior Bowl.